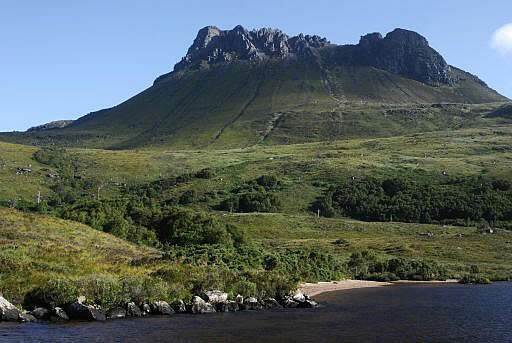 One of the most visited peaks in the Western Highlands. Summer Isles on Scotland’s west coast. hulking giants Cul Mor and Ben More Coigach. 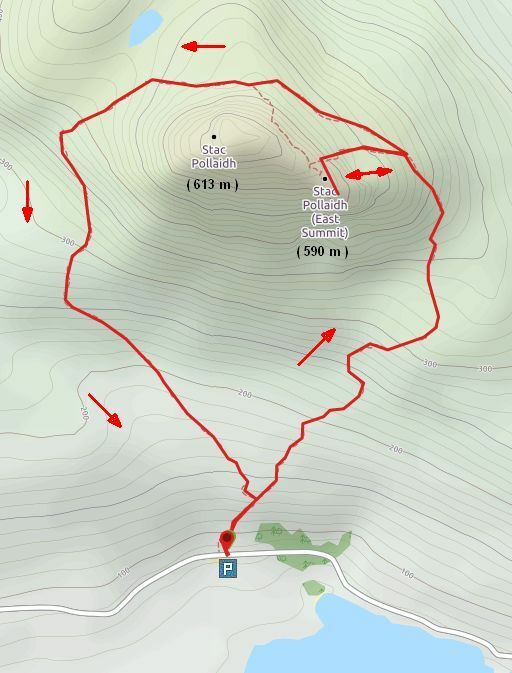 You can park at its base and walk to the east summit in less than an hour. the mountain which requires a high level of scrambling expertise. panoramic views you thought only existed in distant foreign mountain ranges. rise from the flat plains surrounding them. glens and eagles patrol the skies. It makes you feel very insignificant. Car park at its base. A deserved contender for the title of ‘Britain’s Best Mini Mountain’. • Stac Pollaidh formed as a nunatak. 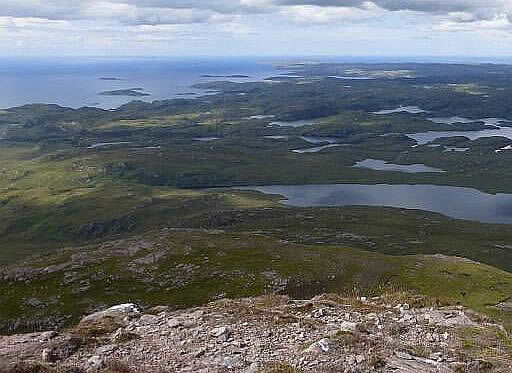 • Looking to the sea from Stac Pollaidh. ... Tour 18: Ein Berg zum Genießen. ....van de wandelgids. Zie achterkaft Top-Auswahl. .... naar de westtop. Ga daar niet naartoe.